Manu Järvinen invites Blender artists to contribute to an art project to show what Blender means to them, and to the Blender community. I've been fiddling around with this Blender Appreciation Poster idea. Basically it's a call for people to participate in the making of the poster, by modelling a sculpture in Blender in 1 hour. It then gets added to the poster. Aim is to get 100 or even more people to participate to the poster. Let's see what will happen. The theme of the sculpture: "What Blender means to you?" 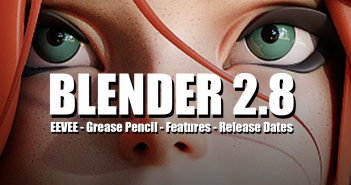 The ultimate point of the poster is to gently encourage people to donate for Blender development. (Often it's not even about the money, but the effort to fill in the details). But it's just an encouragement, not a requirement, of course. Gleb Alexandrov was enthusiastic enough to kick this project going with his wife. I should also sculpt my entry soonish. 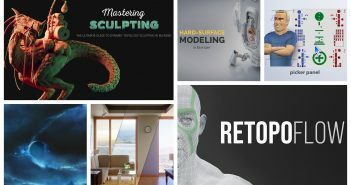 I've also invited many Blender legends to participate like Kent Trammell, Andrew Price, Aidy Burrows, Zacharias Reinhardt and Jonathan Williamson, among others. Animator, modeller and illustrator. Likes open-source stuff like Blender, Linux, Gimp & Krita. And Demoscene. When I retired at 70 years old, I stumbled across the software package called Blender. It has now become, bar none, one of the most important things now filling my time. Blender does not have a learning curve, there is no learning curve for Blender but it's a line straight up but what a wonderful trip it is. Blender made me realize this is probably what I should have been doing with my life all along. I want to offer a heart felt Thank You for those that came up with the concept of Blender and any and everyone who helped bring this gem about. THANK YOU! Loved the idea, asap I'll send in my entry! Jump back 12 years. After a week in CorelDRAW creating several isometric "how to assemble" diagrams, an idiot in the marketing department decided he wanted to show the product from different angles - so that was another week of re-drawing everything. Close-up photos of the product were impossible, since the company's digital camera was useless. There had to be a better way, but I knew the company would never give me £x,000 a year just to experiment with a big-name 3D design app... and so I discovered Blender 2.41. It was insanely complex, but after months of exceedingly long "lunch breaks" battling with arcane modelling terminology, BI materials, UVs and lighting, I could now show lovely clean renders of the product from any angle, without redrawing anything. The marketing idiot also loved getting taster images of new products before they had even been manufactured. In an otherwise very dull job, Blender made me feel excited to go to work. And it still does - I download the latest 2.8 build every week. I have been amazed by Blender progress over the years but alas can only admit to starting it up and watching progress on Blender Cloud and Blender Today. I think a good poster would be one with all the characters from the blender movies on a fictional stage with black outline profiles in the background of the developers, animators and ton. Idea for poster is use models in Code Quest rocket, build big moon base and share it with every person. Submitted mine. Great excuse to do sculpting which I have never tried before. Look forward to how the poster turns out.